Marijuana vs. Sleep Aids: Which is Better for Insomnia? Marijuana vs. Prescription Sleep Aids: Which is Better for Insomnia? Sleep disorders like chronic insomnia are incredibly prevalent in the United States, affecting as many as 70 million Americans by CDC estimates. Beyond causing drowsiness and irritability, insomnia can also result in a slew of serious health problems, such as increasing your blood pressure, which can lead to heart attack or stroke. Additionally, because fatigue interferes with a person’s ability to think clearly and make fast decisions, insomnia also increases the risk that you’ll get into a car accident or accidentally injure yourself. In light of the many problems a sleep disorder can cause, insomnia sufferers should get prompt medical treatment – but what many people don’t initially realize is that some of the United States’ most commonly-prescribed sleep aids come with serious risks of their own. Is it a safe and effective alternative to treat insomnia with Cannabis instead? What Are the Risks of Using Sleep Medications? I want to preface this article by emphasizing I am not advocating that you stop taking your sleep medication. You should never make changes to any medication regimen without discussing it in advance with your doctor, who will be able to make safe, gradual adjustments to your dosage or the type of medication you’re currently taking. That being said, I do feel it’s important to point out some of the serious health risks associated with popular prescription sleep aids. As a physician, I always want patients to be well-informed about the pros and cons of various treatment plans. Believe it or not, doctors actually recommend simple drugstore Benadryl – not heavily-advertised prescriptions like Lunesta or Ambien – more often than any other drug as the first line of defense against chronic insomnia. Because Benadryl is a familiar household product available over the counter for just a few dollars, many patients are lulled into a false sense of security, assuming that nothing serious could go wrong. Increased risk of falls, which the CDC reports are responsible for over 95% of all hip fractures in the U.S. adult population aged 65 or older. Urinary retention in older men. Complications of urinary retention can include urinary tract infections (UTIs), bladder damage, and kidney damage. On May 15, 2014, the Food and Drug Administration issued a press release announcing the FDA would cut the recommended starting dose of Lunesta by half. While the risk is small, studies published in BMJ Open and Mayo Clinic Proceedings have indicated that using Ambien potentially could slightly increase your risk of developing certain cancers. If you ever find yourself experiencing suicidal thoughts while taking valium, please call the National Suicide Prevention Lifeline at (800) 273-8255 immediately. Yet even this laundry list of adverse effects doesn’t fully cover the risk factors associated with our most commonly-prescribed sleep aids. Virtually all prescription sleep drugs currently on the market have been linked to either next-day “hangovers” (feeling groggy or fatigued), impaired physical coordination, increased risk of accidental falls, or physical dependence – and in some cases, all of the above. If an insomnia medication leaves you feeling cloudy, drowsy, and clumsy the day after use, it’s worth asking: how much is the drug really helping you? How Does Cannabis Compare? Is it Safer? Stated simply, Cannabis does not carry any of the serious health risks which have been discussed in this article. Contrary to what common myths about marijuana might try to tell you, Cannabis will not significantly increase your risk of developing cancer, will not interfere with your hormonal levels, will not cause you to sleepwalk, will not induce seizures, and will not cause lingering impairment the day after use. Reduce your stress, allowing you to let go of the day’s events and slide into restful sleep more easily. Improve mood, which makes falling asleep easier. Reduce the frequency with which you wake in the middle of the night. Shorten the amount of time it takes you to fall back asleep after waking. Furthermore, marijuana is safe for long-term use, whereas most sleep aids (including Ambien and Lunesta) are meant to be used as a short-term remedy, generally for no longer than seven to 10 days. For people who suffer from persistent insomnia, a week or two or relief is not real relief at all. And, even when used long-term, marijuana is still significantly less likely to be habit-forming. Benzodiazepine drugs (better known as “benzos”), such as Valium and Ambien, create dependence in about 18% of adult patients, whereas the dependency rate for marijuana users is only about 3%. That being said, every patient responds differently. 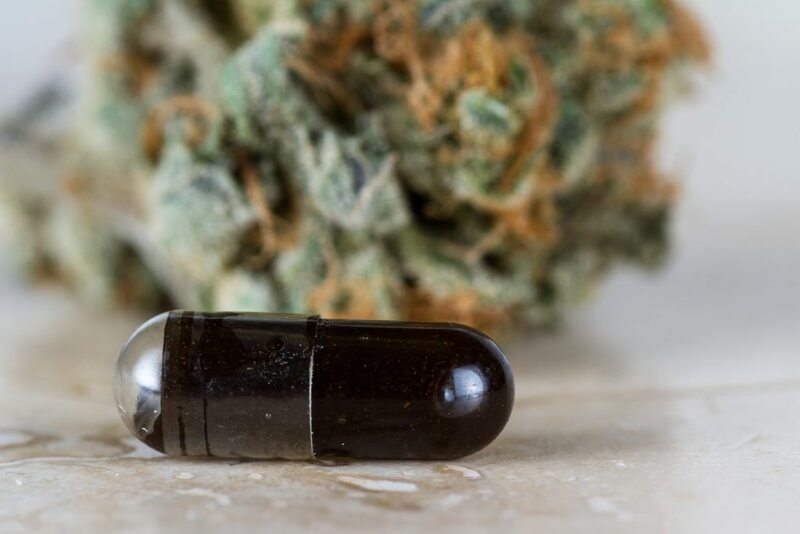 Some find that prescription sleep aids ultimately work better, while others find that adding Cannabis to their current regimen is optimal, and yet others respond best to Cannabis alone. The bottom line is that if you’re not currently receiving any treatment for your insomnia – or if your current treatment isn’t enhancing the duration and quality of your sleep – you may want to explore the other care options that may be available to you. If your quality of life is being negatively impacted by a sleep disorder, you might qualify for Cannabis in Massachusetts. Call Dr. Tishler at (617) 477-8886 to start discussing the health benefits of medical marijuana in a private consultation.